Background/Info: After the “AirMech”-album released in 2012 FLA is back on track with a new soundtrack. We of course all know the Canadian masters of EBM for their sophisticated ‘body-stuff’ but from time to time they also accomplished a soundtrack. “WarMesh” (just as “AirMesh”) has been composed for Carbon Games’ latest creation, “WarMech”! Bill Leeb joined forces with Jared Slingerland, Sasha Keevill, Craig Johnsen, and Jeremy Inkel. 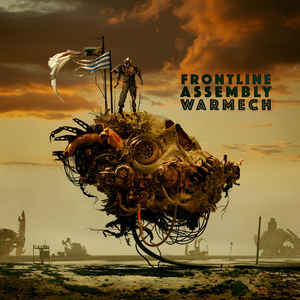 Content: “WarMech” is the first new FLA album in 4 years. It reveals a different and somewhat secret side of the EBM combo. The songs are instrumentals –which is totally atypical for FLA, and clearly written as soundtrack music. You however can recognize the meticulous electronic composition and sophisticated structures that made this band that successful. “WarMech” reveals an impressive arsenal of sound treatments and noises. 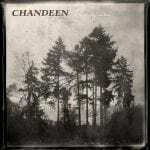 From space-like atmospheres to darker passages to pure electronic modernism, the composition is carried by dry-sounding bass lines. + + + : FLA remains faithful to its sophisticated sound formula, which reveals an endless number of studio effects, icy bleeps and impressive bass lines. This is high-tech electronic music. It reveals the secret side of FLA, a kind of imaginary shadow-side. It’s not comparable with the traditional EBM approach and yet it sounds like pure FLA. It’s all about sound-DNA and the particular arrangements. If you like electronic music that will take you by surprise you definitely have to discover “WarMech”. – – – : “WarMech” will clearly never enter into history as the most successful FLA-album. It’s something different and not comparable so in the end it could have been released under another band name. Conclusion: “WarMech” was composed for a very specific purpose, which remains the ultimate dream and challenge of many artists. It will be fun to discover this game with the FLA music on top.